Fire Island, NY is a barrier island that runs east to west on the southern coast of Long Island in New York. 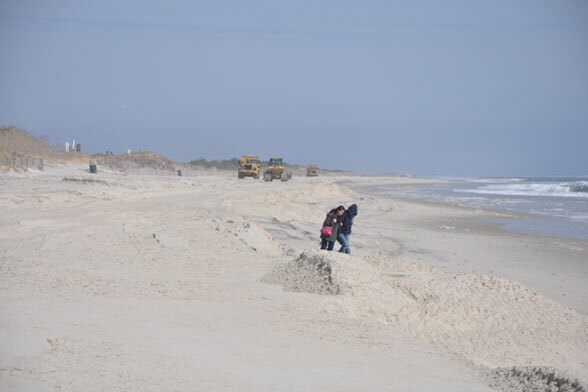 Like much of the coast in the area, the island has been heavily modified in an effort to slow the natural erosion and landward migration of the barrier island. 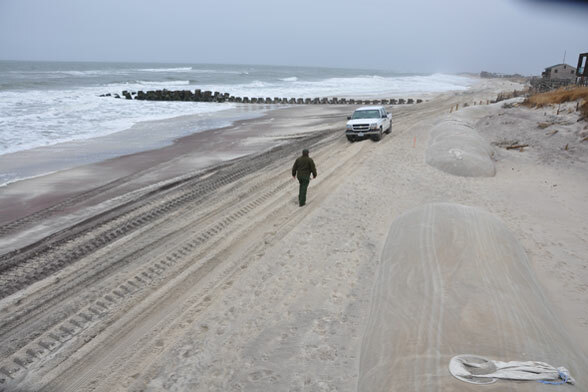 These efforts to slow the natural erosion involve massive fabric tubes filled with sand called geotubes (photo with truck). These tubes are a temporary effort to protect houses that are in danger of being damaged by seasonal storms. 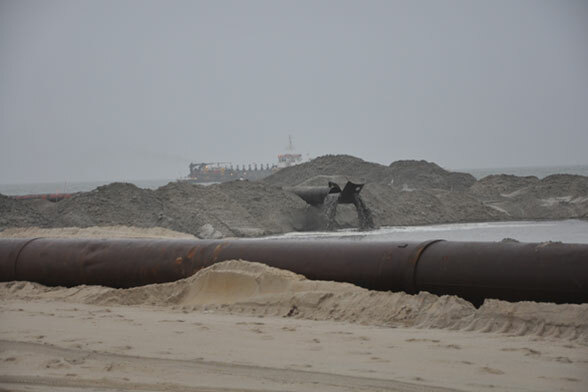 The tubes can not be moved when filled with sand, eventually degrade and fall apart over time, and pose threats to wildlife in the water and on land. Another measure used to slow erosion are groins made of concrete and placed in the water (photo with truck). These structures cause accelerated erosion in areas right next to them, often making the situation worse. This beach is also being nourished in the additional photos. A large ship pumps sand from the ocean bottom to the beach. There, the water runs off and the sand is spread out on the beach by heavy equipment. This disrupts plant and animal life on the beach and makes is a very unpleasant place for a walk! 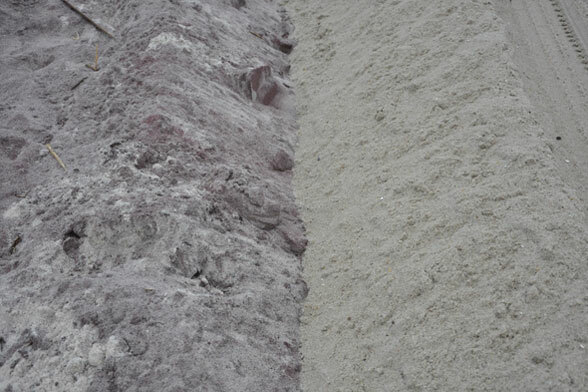 The sand often does not match the composition of the sand that is naturally deposited on the beach as evidenced by different colors and grain size. 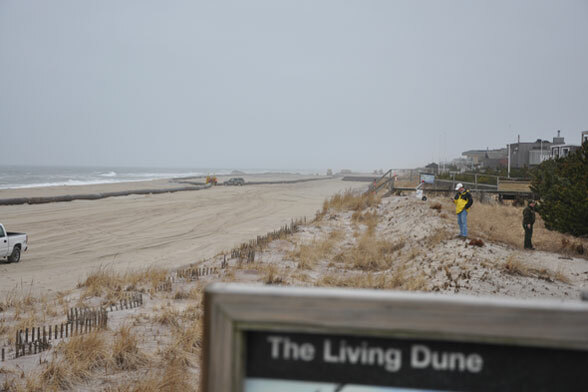 Fire Island, New York is an excellent example of a developed barrier island that is experiencing natural erosion. This makes Fire Island Beachcare’s Beach of the Month for July 2009.